We have a delightful range of long term rentals mainly in Tuscany and Umbria and now Liguria – the Italian Riviera! Also we now have some coastal properties in Sicily, Tuscan coast and Elba Island. Surrounded by evocative landscape that not only captures the heart but also the imagination. Whether you are looking for an apartment in a beautiful historical centre such as Todi, Umbria, or a townhouse in the heart of a lovely medieval town borders Tuscany and Umbria, to a country villa or stoe house or perhaps a residence in an historic building – we have something that absolutely suits everyone Autumn and winter is a great time to escape the dreary days and take up residence for some months in Italy and immerse yourself in the beautiful landscape and culture of the region. 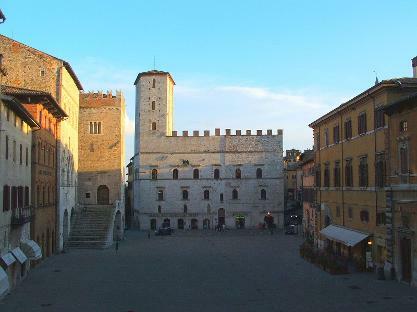 An exquisite apartment right in Todi/s famous piazza ! Many thanks for contacting us and your enquiry about long term rentals We would be delighted to assist. 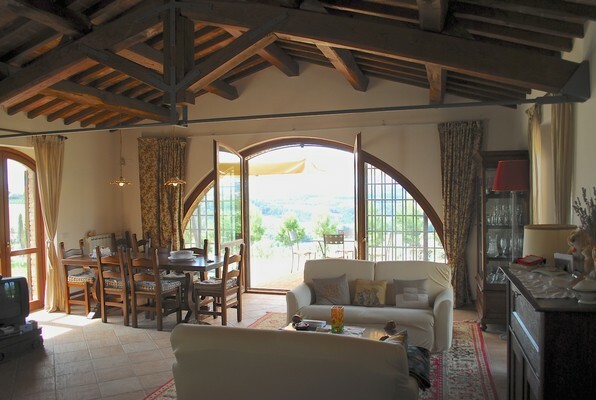 We have quite a selection of properties in Tuscany and Umbria. Please let me know what period you were thinking of commencing a rental and your requirements/budget min-max and I will follow through with considerations. We are both in our 60’s, the children have all grown up and in various parts of the world and we are looking to head back to where our ‘heart is’ and take up residence in Italy once more, along with our three wonderful elderly rescued dogs. 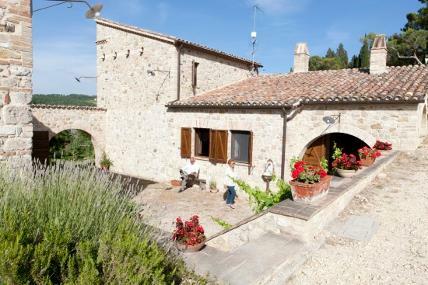 We are looking for a long term rental such as rolling annual tenancy for a property that while being in the Tuscan or Umbrian countryside , is not cut off and within 5 mins of local shops and not more than 15-20 mins from a major centre such as Todi. That being said, a fast internet connection is vital as is satellite TV as I need to maintain ongoing contact with my company executives and projects in various parts of the world. The location and ambience of the property with attractive outlook, is essential and ideally it will have 3+ bedrooms, a study area , good living areas, ‘country’ kitchen and a pool . Our budget will run to around €2,000-2,500 per monthly and we would be looking to remain there for the ‘long term’. You seem to have some wonderful properties within your portfolio and I am therefore enquiring as to whether you can assist us in this quest. We are looking for a place that we can rent the whole year round and that we may sublet to tourists, like we have now. The price should be around €900-950 and the house should have a pool. 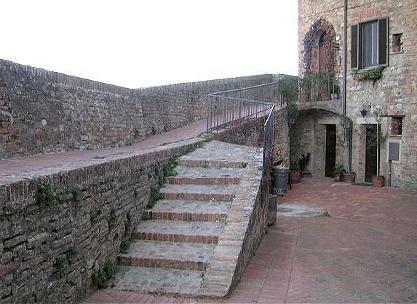 Hello we have a property in Todi. It has two houses on the property and a pool with extensive gardens and olive grove. We are looking to rent this property out on a long term basis to the right person ie. someone who will also take care of the property and treat it as their own. If you know of anyone who would be interested please let us know. Hello , we are looking to move to Italy , Umbria , but are thinking to rent for between 6 months and 1 year before we buy . Do you think this would be possible ? I am looking for a long term rent with a minimum space for four adults. I would prefer the Umbria/Tuscany border around Lago di Trasimeno or Lago di Chiusi. The period will be from Sept/ Oct 2016 for a period of six months. 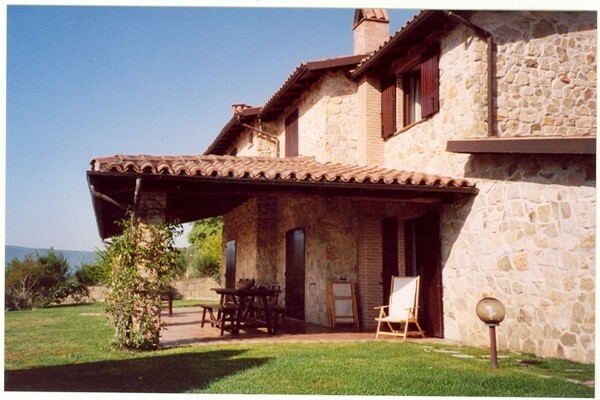 We have a 4 bedroom/4bathroom farmhouse near Lake Trasimeno(17 mins).Umbrian /Tuscan border. (Cortona 35 mins).It has solar panels/wood burning furnace and all mod cons with breath taking views of surrounding hills..
We would like to rent it for 6/7 months-Nov 2016 to April 2017.Is this possible.It is not suitable for wheelchairs and you would need a car.We can obviously supply photos. Hello we are looking for a long term rental in Tuscany or Umbria before buying. each other. In the countryside with no visible neighbors and no noise yet not too far from a charming village. Surrounded by beautiful landscape and with nature walks from the houses. 0ne must have a pool. Both must be luminous and with views. We can pay up to a 1000 a month for each and are able to pay several months in advance. Is this website still active? We are looking to know be to Italy for at least a year and are searching for a property to rent, but there don’t seem to be any clickable links on this page. Many thanks for your enquiry for a long term rental in Italy. Yes, the site is active and we would be delighted to assist you in this respect. We have a large selection of properties in Tuscany and Umbria, especially Todi environ, which is a beautiful majestic Roman Medieval town, perfectly situated between Rome and Florence with all the historic and famous towns within 40 minutes drive. Look forward to hearing from you and being of assistance. We would like to rent a property initially for one year, starting ideally from 1 August 2018, but we can work around slightly earlier or later. We would like a minimum of two bedrooms, though three would be better if within our price range. The property must have a separate shower – not over a bath – and it must have good WiFi, either already installed or available, as I work remotely. We would like something rural but not too remote, or coastal. That is our essential criteria – as far as wish list is concerned, of course we would like a garden, a pool, air conditioning etc.! We are looking to pay around €800 per month. Many thanks for your feedback with regards to your requirements. Just to explain that to rent from 1 August – which is the peak period for holidays in Italy and a week’s rental in a villa with pool would be between Euro 1300-1700 depending on size etc and therefore owners are not willing to commence yearly rentals in this period when they can receive Euro 6000 in the month. Hope you understand. However, to start a rental from 1 September with a pool, would be more cost effective. I wonder whether you maybe interested in lovely accommodation in agriturismo, i.e. an esx 12 century monastery set in its own grounds with pool or a 16th century country house which has 3 accommodations and consists of pool, jacuzzi, lovely gardens, terrace, lodge. These properties have wifi installed and part of the rate along with stand alone showers. It is certainly worth considering these options as much more economical in particular there 16 century country house, 5 minutes from Todi, Umbria in a great central location with motorway 5 mins. drive and equidistant from Rome and Florence, both being 1.5 hrs away North and South. As with all rentals for long term, utilities such as electricity and heating are not included. The rate for the apartment with 2 bedrooms at the 16 century country house is between 650 and 700 euros per month. Again, as with all rentals, bookings are already made and July and 2 weeks in August are already booked, so a commencement date of 1 September would be ok. Please let me know your thoughts and would be delighted to assist and please bear in mind that as guests you would have use of the pool for 6 weeks from 1 September to mid October then again from mid/end May 2019 until 31 August 2018. I can send photos of the apartment in country house if you desire to go down this route and is extremely economical with many options available and just 5 mins. Drive to beautifulTodi. a Roman – medieval town with a year long events calendar and many cafe bars and restaurants, art galleries and museums with all the regions rich and historical heritage on your doorstep. For the monastery residence, there are a few options available in regard to choice, but again would be a start date of 1 September. The monastery rates would be around 1000 euro per month. Can you please let me have your private email address as when I sent the prior message, it bounced back and I think there is a problem with it. I can send the links to the properties then. I thought I would send you the link to the 16 century country house apartments, of which there are just 3 with Ariel being the largest which I would propose for you as 2 bedrooms, separate kitchen, living room/dining room. The rate as I mentioned in my prior mail is excellent at Euro 650 per month. Here is the link http://www.italiarentals.com/todi-16-century-borgo.php – Ariel apartment is listed 5, 6, and 7 images up from the bottom of the page. A great central location, enchanting and charming and great value. 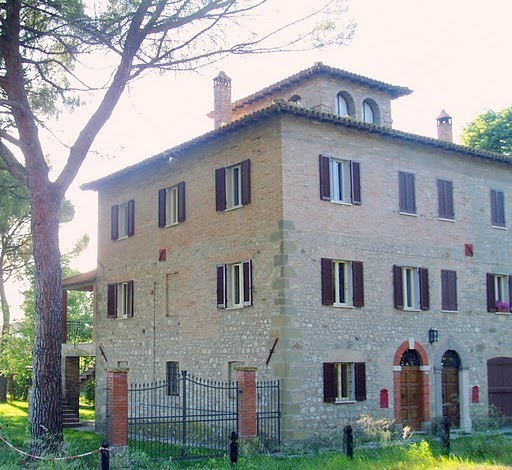 Just a quick update, if indeed you are interested in the 16 century country house, 5 mins from Todi, Umbria. There is an update on availability and it can be available from 4 August. I can advise that the other 2 residences have guests in August but from then on, with the exception of the odd residence being booked for some days, the whole structure would be solely your domain. Wait to hear your thoughts. I am so sorry for the delay in responding to you – we have been travelling and I haven’t looked at this site much. We have now made arrangements for August, but if Ariel is available in September we would be very interested in booking it from 08 September 2018 – 06 October 2018, and, if it turns out to be what we are looking for, to extend that for another 11 months to make a year in total. Lovely to hear from you, I wondered …… Ok no problem. Ariel Apartment can be available from 8 September until 6 October and hopefully, you will extend your stay for a further 11 months. The rate, therefore for the month of September is 1300 euros basically half price especially if you should decide to depart after that period. Any heating costs would be extra. I am sure you will agree this rate is very fair. Should you decide to stay for the full 12 months, then of course the month of October would be free There would of course be a booking deposit required to secure Ariel apartment in advance, as is the norm for weekly rentals even. The rent includes a basic supply of bed and bathroom linen and includes also the use of the pool and the garden’s maintenance, use of the pool and the garden, jacuzzi and lodge. The pool will be open until end of September/early October. Please let me know your confirmation to secure Ariel apartment from 8 September for 1 month initially until 6 October. Could I have an email address for you? Or, feel free to message me using the email address I registered on this site with.